Forget about endless grind and other boring routines! ”Farm and Click” is all about one thing that really matters - farming! This is a new generation of idle clicker! Harvest crops, feed and raise your animals, upgrade your tools to produce even more goods! Tap! Harvest! Upgrade! WHY “FARM & CLICK” IS SO COOL? - You can grow the weirdest animals ever! Not just the regular pigs, chicken and cows. We are talking about dragons and unicorns! - It is all about fun! Pure farming experience with funny crops and simple gameplay. - Awesome art and animation! Best idle miner ever! - That’s a revolution in farm simulators! Tap away all your sorrows! - There are a lot of upgrades! - Idle clickers are awesome! So join the big community of fans of this genre! Upgrade endlessly! Swipe, click, tap and swipe some more! Prepare yourself to best farm simulator in your life! 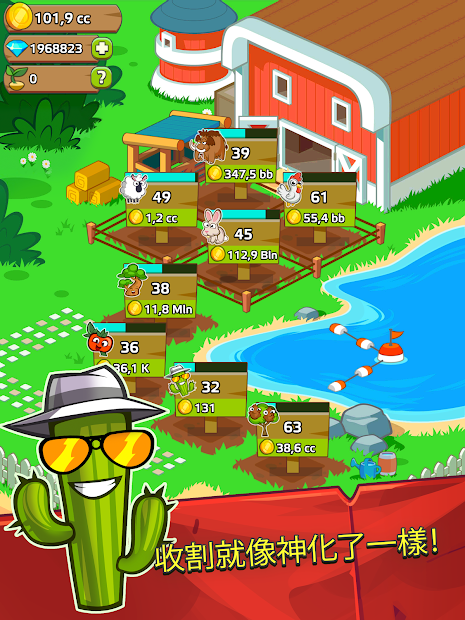 Farm and click is a really fun and entertaining clicker game for your friends and fam! Hire workers, buy upgrades, cultivate corn and other crops. 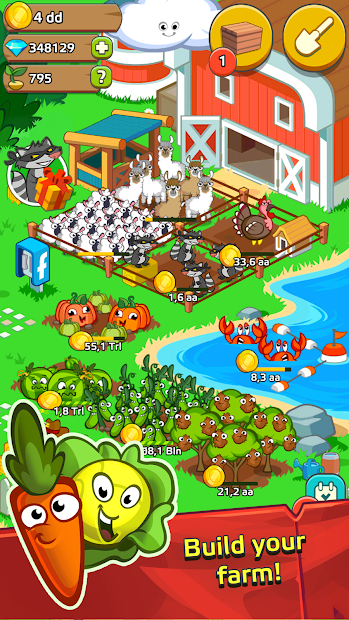 Harvest endlessly to buy more seeds for more vegetables, potatoes and more corn! Feel yourself like a real farmer from the village. Grow your barnyard animals with love and tender! 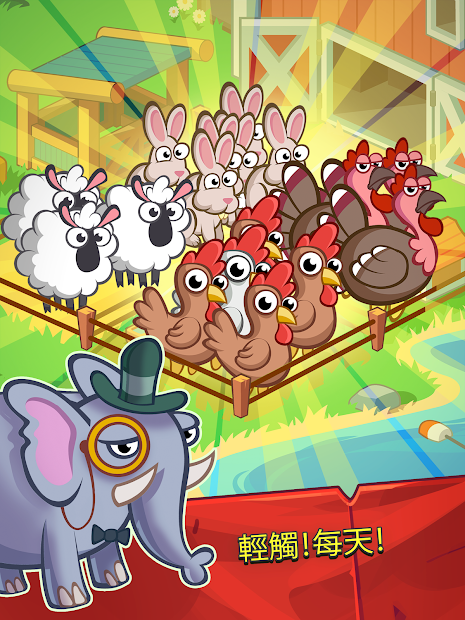 Grow pigs, cows, horses, chickens and other poultry! Being a farmer is not easy… But we made it easy! This is the easiest farming simulator in “dot com” world! And there is a reason for it! And this reason is a revolutionary way to see games. It is not just a funny tapping game for friends and family. It is much more! It is the world for you to dive in - it is the life of a farmer. Pigs, cows, horses, chicken - they are in you barn now, in your village, they are your responsibility. That is your personal story. But yet, it is funny! 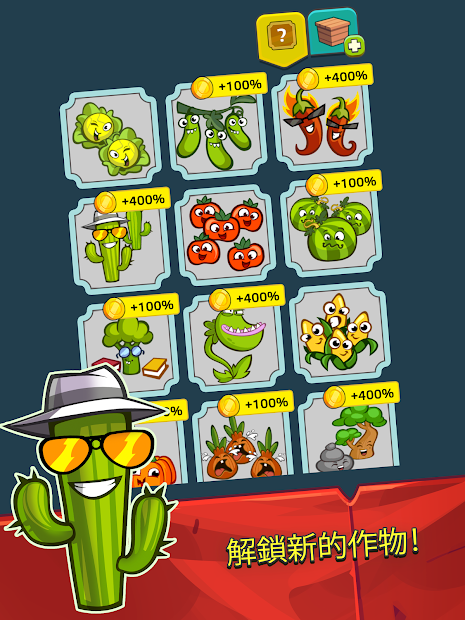 If you like vegetables this game suits you perfectly! Grow seeds, harvest endlessly, cultivate corn, potatoes and other crops! Farm and Click is the best farming sim ever! Enjoy being a farmer with your friends and hire them to help you! Grow your seeds with tender, love and reason! Be a simple farmer from the village and make a revolution in agriculture! Barn, ranch or a field - have everything in the same time! Farmers love that! This game is all about clicking! It is a good old tapping simulator. So, prepare to tap, swipe, and click! Prepare to tap away! Tap! Tap-tap! Taptap! But while you are taping don't forget about collecting things! Your ranch won’t be so cool without new horses. Your barn need sheep, pigs, poultry, unicorns and cows. Your kitchen garden needs new vegetables, corn, potatoes and other crops. Your house needs new hired help. Your friends and fam also need new stuff. And you can get all of these with collecting puzzles!